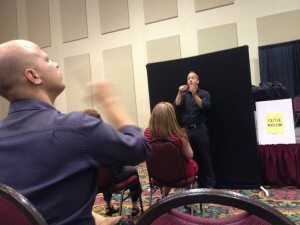 American Sign Language Interpreting is a profession like no other! Each day and each assignment is vastly different, offering the ability to learn and see things from a new perspective. This field attracts a certain type of individual with a deep passion for communication and developing relationships. But more than that: ASL interpreters must be gracious friends and fierce allies of the Deaf community that welcomes us into their lives. Interpreters have the unique opportunity to share in a wide range of unscripted personal experiences. From job interviews to family reunions; from business meetings to parent teacher conferences, we are granted access to the lives of deaf consumers and this is a responsibility that should never be taken lightly. These relationships are the human element of interpreting that assist in bridging the cultural gap. In service to the Deaf community, ASL interpreters are invited into this diverse culture that has no racial, religious, or ethnic barriers. It is distinctly American, yet has its own heritage and set of social customs, such as the long-lasting phenomenon known as the “Deaf goodbye” or assigning people their Name Sign. Interpreters who can hear must be willing to become a minority within the Deaf community, we must be able to step back from our privilege to assume a new identity as mediator (or bridge) between the deaf and hearing worlds. 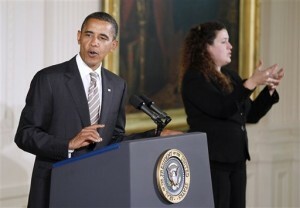 What inspires a person to become a sign language interpreter? Some are motivated by their deaf family members or friends. These people already use ASL and they have seen firsthand the prejudice and barriers that exist within our society. Others enter this field driven by their fascination with languages, cultures, and community. No matter what brings a person to this profession, we all share a common desire to assist in creating connections and uplifting the Deaf population. When we see effective communication happening, it’s a truly fulfilling experience. ASL interpreting is a career that requires continuous growth, it attracts people who are prepared to engage in lifelong personal and professional development. As interpreters, there are such a wide variety of scenarios we can work in once we have the qualifications and experience. Everyone has their own “specialty” area, “favorite” setting, and a type of situation they “would love to” interpret for. For example: my “specialty” is educational interpreting, having worked in a college environment for more than 6 years. My “favorite” setting is business interpreting, where I have the opportunity to assist in making connections within companies and organizations to ensure the deaf consumers’ success. And the scenario I “love to” interpret for is behind the scenes on film and television sets, here I get to help facilitate higher visibility for Deaf talent within the entertainment industry. Taking on different roles allows interpreters to take a microscope to all these different parts of society. We are granted access to people’s everyday lives, and to be effective we must come to understand the situations that Deaf consumers find themselves in. To create effective communication, a Business interpreter will endeavor to understand the ethics of the company and the power dynamics between each person involved. When working in a mental health setting, an interpreter must really have a thorough understanding of the healthcare profession and the patient, and they will take an active interest in the long term treatment plan for the individual. 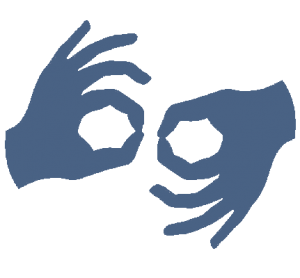 When providing ASL services for a play or musical, interpreters will immerse themselves in the piece, yes, but they also must come to know the character as portrayed by the performer. For religious ceremonies, interpreters are invited to take part in deeply held traditions, which requires reverence and respect. Interpreters who work family events play an important role in creating cherished memories– I’ve personally witnessed deeper connections and more meaningful relationships being formed within my own family thanks to the interpreters who join us for events and holidays. 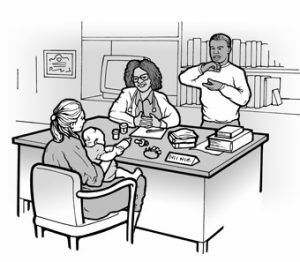 Interpreters who work in medical settings assume responsibility for accurately conveying critical, complex, and highly specialized information between deaf and hearing parties. This is why ongoing relationships between interpreters and consumers can be beneficial for everyone involved. Besides offering ample opportunity for growth, sign language interpreting is a career that can take one all around the world. Deaf people travel for both work and enjoyment, and they often ask interpreters to help facilitate communication in these everyday situations. A business executive might bring a certain interpreter with them when they travel because they feel that person accurately represents them and their business. Interpreters who work for government officials are entrusted to faithfully maintain the personality of the deaf individual, and they get a rare insider perspective into the world of politics. From weddings, to school plays, to kickboxing lessons; from births, to job promotions, to funerals— sign language interpreters stand beside the deaf community through life’s many ups and downs. I don’t think I am alone in believing that ASL interpreting is so much more than just a career. Between overnight emergency stays at the hospital with consumers, and the weekend-long professional development conferences, ASL interpreting becomes a way of life. Interpreter is an identity within Deaf culture, it is one that I wear proudly on Interpreter Appreciation Day (May 1) and every other day of the year! Last week, Mayor Bill de Blasio addressed the citizens of New York to discuss the city’s first confirmed case of Ebola. During the press conference the mayor’s ASL interpreter, Jonathan Lamberton, gained a bit of attention on the Internet. Most of the commentary centered around Lamberton’s expressiveness, which is actually just part of sign language, but missed the most compelling aspect of this particular interpreter: he is Deaf. New York City is truly a melting pot with people of all ethnic backgrounds, education levels, and ability. 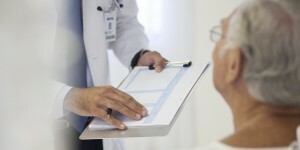 In times when peoples’ health or lives might be in danger, communication becomes absolutely critical. There is no room for miscommunication when state officials are addressing the public safety. Deaf people who use sign language to communicate may read and write English quite well; or they may not know English at all. 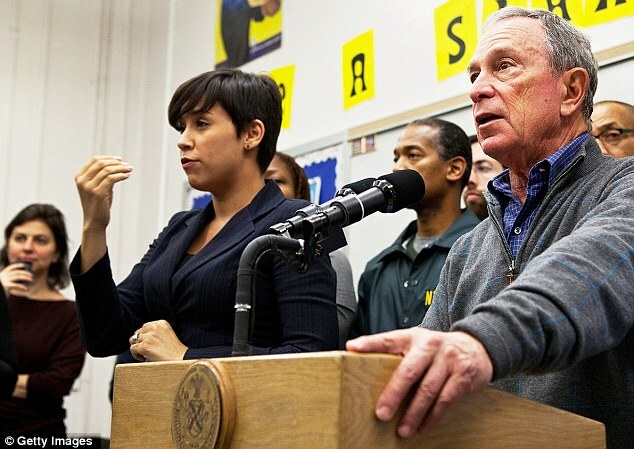 Many deaf people have excellent ASL skills, while others only know informal sign languages called “home signs.” Additionally, in a large city like New York there is a whole audience of foreign born deaf people for whom ASL is a second language. Deaf interpreters come from a background of visual language, so they are able to “let go” of the English form more easily. Because sign language is their native language, deaf interpreters can communicate with deaf consumers on a level that other interpreters just may not be able to get to. CDIs tend to be more intuitive when it comes to foreign sign languages, informal signs, and translating cross cultural messages. Imagine you’re an older person who immigrated here from Cambodia at a time when that country did not have any official sign language. The language you’ve used your whole life is a combination of signs and gestures which does not correlate in any way to ASL. A hearing sign language interpreter might have a very challenging time interpreting your doctor’s appointment, finding it difficult to explain technical terms in a way you understand. Our ethical obligation as interpreters is to ensure the deaf consumer receives the service they deserve. This is one example where a CDI could be called in. During the press conference, one Twitter user claimed that everyone around him thought the interpreter was “faking it” like the infamous Nelson Mandela memorial interpreter. 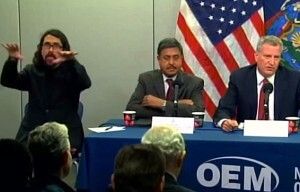 Other hearing commenters critiqued the deaf interpreter’s signing style, as if he was putting on a show for them. When an interpreter’s signing does not match the speaker’s vocalizations, or the signing is very passionate, it does not mean the interpreter is making up a language or just acting. 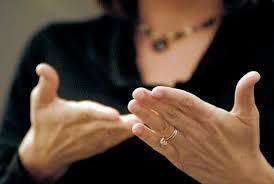 Sign language interpreters exist to serve the needs of deaf consumers in the best and most ethical way they are able. 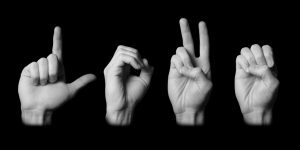 It’s wonderful when sign language gets so much Internet attention, because it provides new opportunities for mainstream society to become educated about Deaf culture. I think it is important that when general audiences to see ASL interpreters in the media, they understand the true the function we serve. As illustrated by the attention I received for interpreting during Hurricane Sandy, deaf communication really fascinates the hearing population! Growing up a Child of Deaf Adults (CODA), it took me a long time to accept the wonderment others experience when they see sign language being used.When I was young, I ‘d become frustrated when patrons in restaurants or grocery stores would stare at my family while we were trying to have a conversation. Being naive, I didn’t know that their stares were not meant to be insulting. I didn’t realize that most hearing people have no communications or interactions with deaf people. It never even occurred to me that most don’t know how! Until I was in the second grade, I simply assumed deafness was a societal norm. It was hard for my young mind to envision families who did not enthusiastically sign to one another over the dinner table. Other children’s curiosity regarding ASL, which was the primary language of my household, helped me begin to see the divide that exists between deaf and hearing cultures. I feel such an innate connection with the 38 million deaf and hard of hearing individuals living silently among America’s hearing population. Sign language is the third most widely used language in the US, yet deaf/HoH accommodations remain frightfully scarce. How is it that in 2013, we have not created a cultural melting pot where deafness is, as I for so long believed, a normal aspect of life? By remaining separated, both cultures lose so much opportunity to learn from the other. Deafness is by no means a disability or impairment, it is just a different way of using your brain to experience the world. I wish there were a way to make the whole population understand this! I feel as though my heart and soul are deaf, but I have the ability to hear. I view my multicultural background as a strength, and the struggles of my deaf family members as inspiration to weave deaf culture more closely into the fabric of this country. Ultimately, I would love to help society let go of their misconceptions, and one of the best ways to do so is to keep pushing for all-inclusive events. When hearing people become used to seeing competent ASL interpreters signing away on stage, without it being spoofed on SNL or going viral, we will know progress has been made!